Artefact Description Good condition. Made from a Crimean cannon. Chinese cannon. Lion above the Queen’s crown. It’s in the shape of the Maltese Cross. ‘Valour’ text across it. 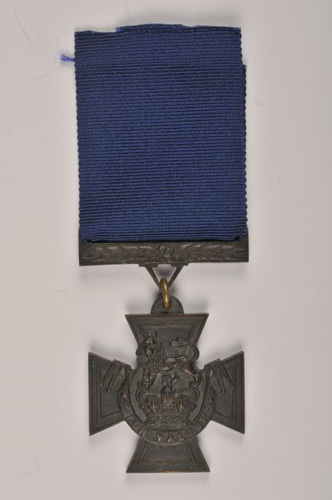 History of Artefact This is the first Victoria Cross ever awarded. It was presented by Queen Victoria on Southsea common. It was presented to Commander Henry James Raby. It is the highest military award (just over a thousand have been awarded). Special Memories It is on display in the Sailing Navy Gallery where more details and other medals belonging to Raby are kept.